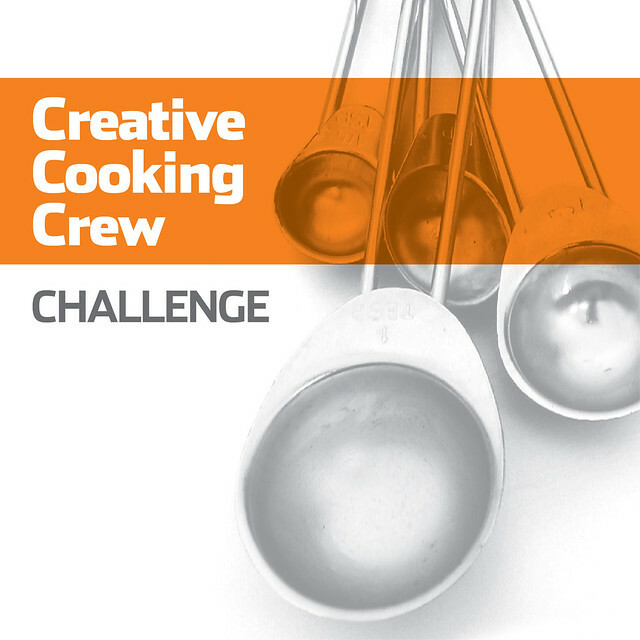 May’s challenge for the Creative Cooking Crew is “what are you bringing to the BBQ?”. So many options and ideas, but what I wanted was something refreshing for a hot summer day…Gazpacho! I never made the grilled version so I played around and thought this was a great recipe. Being a city girl I used my grill pan and my stove to grill the veggies. Heat your grill and brush with oil. 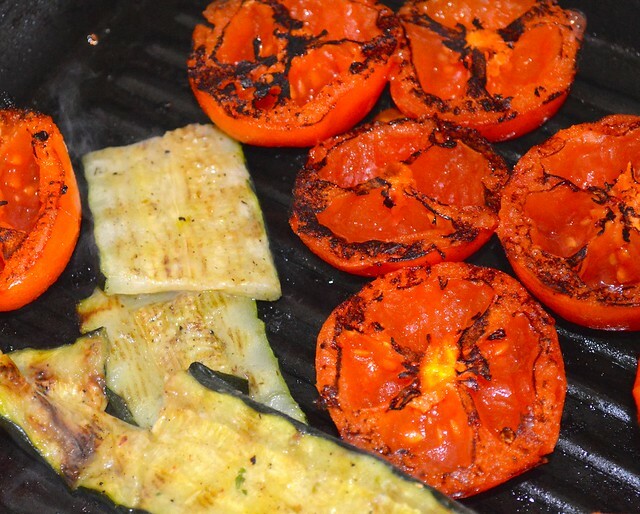 place your tomatoes/zucchini and grill until tender. 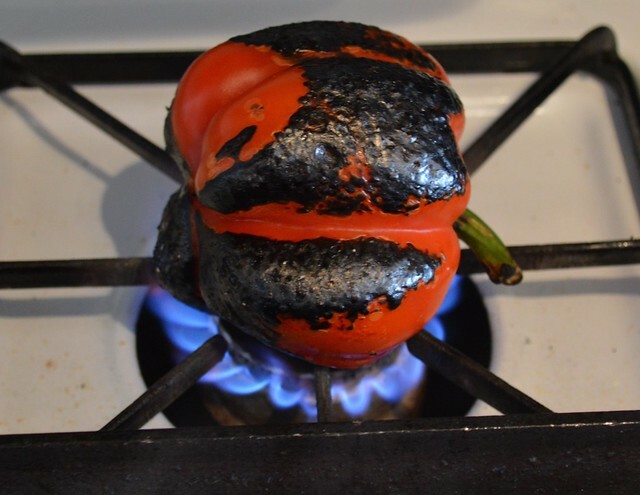 Put peppers on flame and rotate the peppers and remove them after roasting. Place in a paper bag to sweat for easy removal of skin. Cut peppers and remove seeds. Place everything in your food processor, except for the tomato juice. Pulse until coarsely chopped, do not over process. 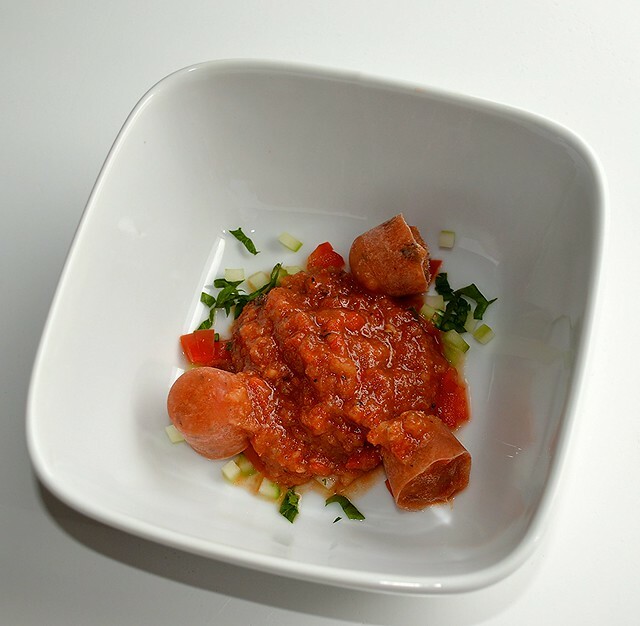 Transfer to a bowl and add tomato juice until you get the consistency you like. I used about a cup. Refrigerate and serve the next day and garnish with cucumber, parsley and peppers. I also froze some of the gazpacho in ice-cube trays to keep the soup chilled upon serving. 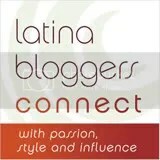 This entry was posted in Appetizers, Breakfast/Brunch, International Dishes, Soups - Cold/Hot, Spain. Bookmark the permalink. Greetings from Bilbao. Nice job on the gazpacho. I’ve never had it grilled and it’s a “must try”! Love photo of pepper on flame. What a great surprise. Missing our daily chats. Thanks for visiting. Enjoy vacation. Amazing idea, the flavors intensify so much and it must have a nice smoky taste. I did a salsa once like this so I can totally imagine how this gazpacho tastes, Great grilling! Nice! Nice! Nice! Looks so delicious Norma! It must have been extra flavoursome using grilled veggies in this cold soup. Delish! I must say I have never thought of grilling the veggies or a gazpacho. I really like the idea for hat added element of flavour. Thanks Catherine…I have been lazy in posting as I have been so busy but I know know why I did not see your blog..you canted the name..will visit soon.. 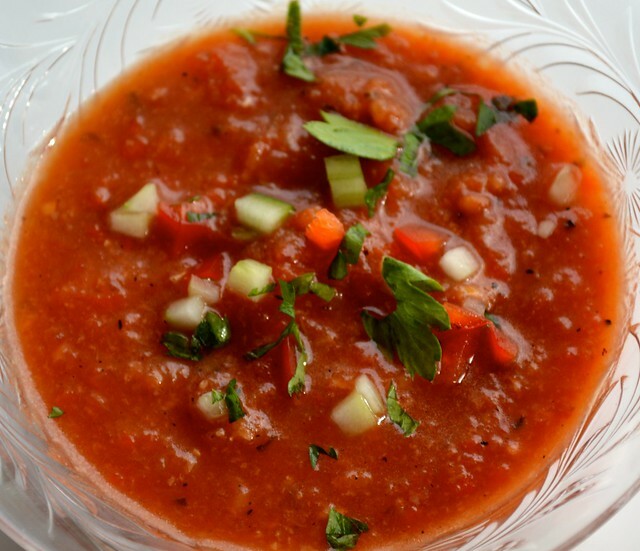 I love practically any incarnation of a good gazpacho, and this one is enticing indeed!